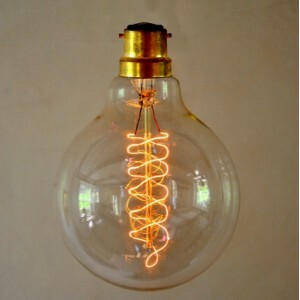 This stunning vintage light bulb creates a warm atmosphere and ambience for your home. 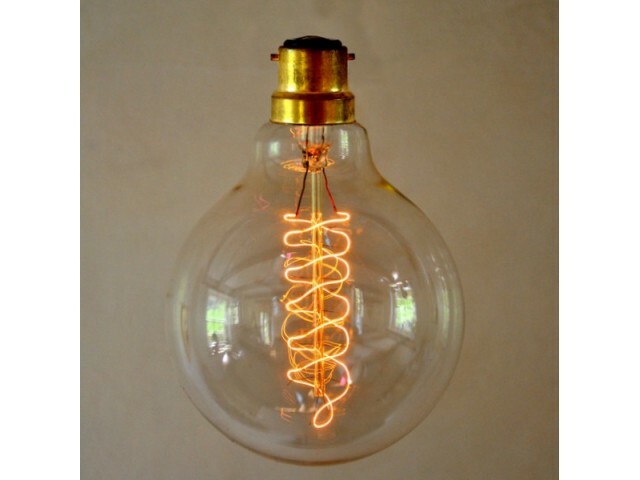 Made to recreate the same lighting effect as the original Edison design, this bulb looks perfect on its own, or with any conventional lamp shade. 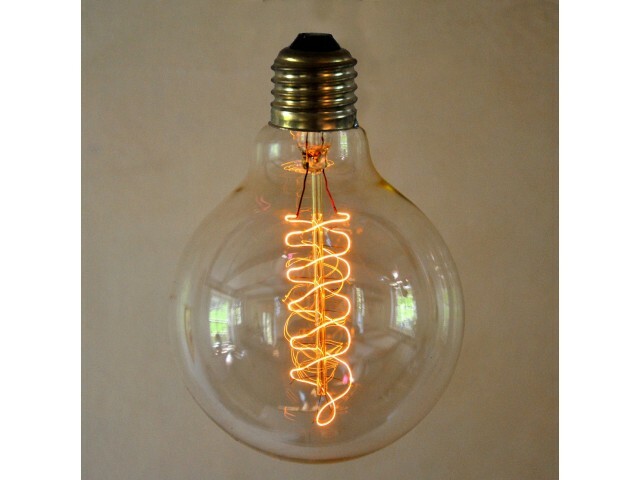 When used with a dimmer, the spiral filament gives a wonderful retro glow. Used with a dimmer, the 3500 hour life expectancy is greatly increased.